That was one of the most important lessons that I learned from Abe Foxman when I worked for the Anti-Defamation League. Abe was very clear. Use verbs, not adjectives or nouns. Describe actions as anti-Semitic, or as contributing to anti-Semitism. Do not describe someone as being an anti-Semite, or as being anti-Semitic. Rep. Ilhan Omar, the newly elected Minnesota congresswoman, has said that the American Israel Public Affairs Committee has paid politicians to be pro-Israel. No, she wasn’t talking about Benjamin Netanyahu. She was talking about Benjamins — as in pictures of Benjamin Franklins — as in $100 bills. And, who provided the Benjamins? “AIPAC!” she tweeted. Just in case you are having a rough time connecting the dots, here goes. 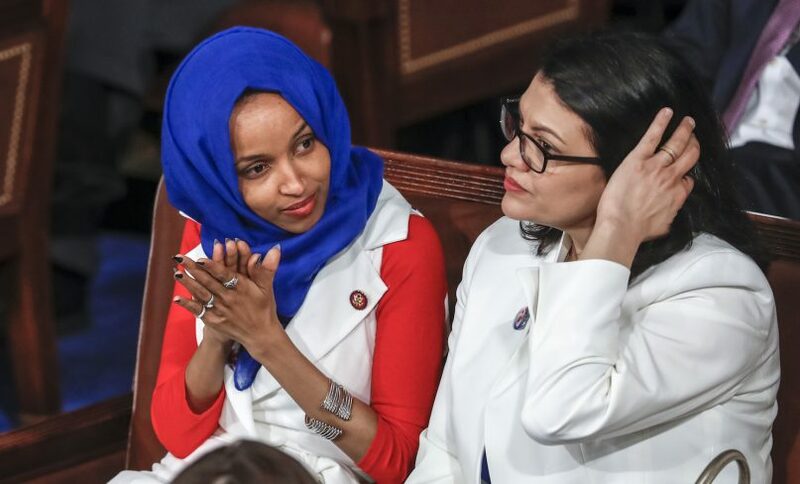 Omar accused the Jews of buying support for Israel — and worse, of controlling Congress with their money. Whether or not Omar is anti-Semitic, the comment is utterly anti-Semitic. As was her 2012 comment that “Israel has hypnotized the world.” She recently apologized for that statement, claiming that she had not understood its implications. This is pure, unadulterated, classic anti-Semitism. It is one of the oldest and most hateful anti-Semitic themes that history has offered us — the myth of Jewish control, especially financial control. It is the myth of Jewish conspiracies. It is the myth of the Rothschilds and George Soros manipulating the world from behind the scenes. It is the myth of the The Protocols of the Elders of Zion. Henry Ford published that infamous forgery — a piece of Dearborn, Mich., history that its current mayor, John O’Reilly, does not want people to remember. Frankly, I am surprised that Omar did not dig up an old graphic of the Jews as an octopus with their tentacles around the world. It would have suited her tweet perfectly fine. It is not only anti-Semitic. It is a lie. AIPAC does not pay American politicians to support Israel. AIPAC does not make campaign contributions. AIPAC does not endorse candidates. It has one mission: to strengthen the relationship between the United States and Israel — and to make sure that such support is bipartisan. People are certainly welcome to disagree with the positions taken and advocated by AIPAC and its supporters, of whose number I am one, but supporters of AIPAC don’t take those positions because someone hypnotized them or paid them off. They take those positions because they believe them to be right, just like she believes her bigoted statements to be right. Omar refuses to understand some very key, basic truths. The $3.5B aid package that the United States committed to Israel for the next 9 years provides jobs in the United States. In fact, $3 Billion of that annual package is used for jobs and companies INSIDE the United States. Does Omar want to cancel that package and create that ripple of unemployment and negate gains for American companies like Caterpillar and Lockheed Martin and Intel? Does Congresswoman Omar know that, unlike Germany or Japan, Israel’s military and intelligence partnership allows the United States to have an ally in a region where, as a result, the U.S. does not need to have a physical military base? Does Congresswoman Omar know how many billions of dollars that saves the United States per year? Does Omar know that Israel has been a consistent ally in the fight against terror and in creating a democratic center with shared western values in the Middle East? What type of instability what America find itself within were Israel to not exist, God forbid? Is Omar blind to the technology she wants to boycott and the medical advances that Israel has achieved and shared with its closest friend, the United States? Does she refuse to use Waze? Text message? A computer with an Intel processor? Cancer drugs or a Z-Pak? Look, my Democratic friends: We got ourselves a problem here. There are now three new members of Congress whose views are, to varying degrees, critical of Israel or anti-Israel — or who show affinity with those who are not friendly to Israel and Jews. I am referring to Omar, Rep. Rashida Tlaib and Rep. Alexandria Ocasio-Cortez. Be careful. If you hate Muslims, or Islam; if you think that Muslims have no right to hold electoral office, let me be clear. I do not support your hatred for Islam. I want American Jews and American Muslims to learn from and with each other. But, if American Jews perceive that the Democratic Party is moving into anti-Israel positions, they will be faced with a major quandary. Do we continue to support that party, as we have historically done — or do we leave? And, if we leave, where do we go? We can live with three sharp critics of Israel. Perhaps they will learn. Perhaps they will be exposed to some different realities. Perhaps they will change. But even if they don’t change, we can live with three critics. But we need to hear the larger Democratic Party speaking out against these slurs. That is key. Luckily, several members of Congress, including Nancy Pelosi, have already sharply criticized Omar, and Omar has issued an apology. It’s a start. Only time will prove her sincerity. Tragically for the people, the leadership of the sons of Ishmael sided with the Nazis. But unlike the Nazis who conceded defeat, and rejected their hate-fueled philosophy, the Ishmaelite leaders have never stopped hating and fighting Israel. While Israel repeatedly offers peace, Islamist leaders perpetuate war. Another opportunity to fracture farther. Or another opportunity to reconcile and repair. Thanks to Chelsea Clinton and Meghan McCain for the example of the later. So according to Mr. Salkin, if you’re against AIPAC or dare to criticize it for any reason, you’re automatically antisemitic. Got it. Because AIPAC = Israel = Jewish. Tell that to non-Jewish people living in Israel, or even to Jewish ones living here or abroad who may have a difference of opinion with AIPAC’s political agenda. Vote for GOP instead of BDS, folks. Somehow the unity of Jews for the Democratic Party predicted by the author for 2019 looks less certain. Representative Omar is one person espousing one fringe position that isn’t likely to gain much attention, let alone support, in either the House or the public conversation. Whether or not she’s an antisemite (and I suspect she is) isn’t as important as whether or not she’s persuasive, which she isn’t. There are a lot of bigots out there and, apparently, no shortage of them in Congress. Black stones can’t do anything but just sit there. muslims is too dumb to understand that as most of them are inbred to imbecility. All Muslims will be slaughtered when Jesus comes to slaughter all fools who worship stone idols. I don’t think BDS will make the party platform. There is plenty of bigotry on both sides as one can see from some of the comments. Someone needs to talk privately with her about her remarks. Maybe, she can learn to be more careful with her words. Deborah Lipstadt just published her book “Antisemitism Here and Now”. Many people fall into what she calls the “clueless” category and don’t realize how offensive their remarks are. I advise everyone to read this book. I think the good congresswoman knows exactly what she is saying; only now, she’s not saying it just to her circle of supporters. The most important issue, of course, is whether her party censures her or not. No, the Democratic Party needs to publicly disown her comments and make it clear that while it tolerates calling people “Nazis”, this a line it won’t cross. After they got done doing that, they need to put their anti-Catholics to bed. I suspect she knew what she was saying but didn’t realize how others would take her words! AND I doubt the reality of the”big stage” that she now occupies has set in. The House Democratic leadership has released a statement condemning her comment. That’s more than you typically see from the other side of the aisle when their members stick their feet in their mouths. Mainstream Democrsts did cross the line when they initially embraced the Women’s March then backed off because of the antisemitic claims against the group. These are not just BDS supporters but many take up the pro-Palestinian assertion that Israel has no right to exist. They have the right to hold these views but the Republicans are going to take advantage of it. When you write “They have the right to hold these views …”, do you mean as American citizens or as Democrats? The Democrats have been pretty firm on the issues that matter to them that as a Democrat you don’t have a right to certain views. If you can point me to a comparable statement: anti-semitic, anti-Catholic, anti-something – on the other side of the aisle I’ll take a hard look at how they handled it. Well that is all well and good. However it is blatant hypocrisy and hypocritical of people to just brush her comment aside when if it was said by someone the left does not like there would be outrage and calls for her to resign. Why is that? Why is she not labeled racist, alt-left, a hater? It is because her constituents really don’t care if she said it. After all she just made a rookie mistake. Or, does she really harbor such views towards Israel and Jewish citizens of the US. She did however get a rebuke from some democrats such a Pelosi, but I’ll bet my last dollar it was less about the content and more about the fact that there are some on the left who rightfully will not tolerate anti-Semitic remarks and they don’t want to alienate any of their base with an election coming up. You know I used to vote down the line democrat, until the lunatic fringe started taking over. She needs to be taken to task for her comment, and watched closely to see if these views resurface either by verbal comment or by political means. I was referring to the two Muslim congresswomen and their constituents. Yes, I was glad to see Chelsea ( I did not see McCains remarks) speak out about this. She has spoken out when the rabid rabble have done something totally outlandish. Until the left disavows its own radicals and separates from their asinine and dangerous platform, I will be voting Republican. I was referring only to the two Muslim Democratic representatives. Their constituents can think anything they want as long as they don’t advocate the violent overthrow of the government or go around blowing up synagogues. The House GOP leadership was awfully slow to condemn Iowa representative Steve King, even though his history of racist remarks was known for years. But to their credit, they finally did strip him of his committee assignments. I’ll say this. Both parties are reluctant to critique their own and quick to exploit any and every ill advised comment from any member of the other party. It’s part of the dysfunction in Washington. It is part of the party system. I don’t believe King ever argued for the extinguishment of a country. Seems to me she is being taken to task. When and if that will blow over remains to be seen. Part of the problem with the House of Representatives is that candidates don’t have to run statewide so they don’t have to appeal to a wide variety of perspectives. They only have to appeal to relatively small districts that tend to be politically homogeneous. So you have a lot of extremist representatives on both the right and the left who don’t have to cooperate with each other to get reelected. They just have to keep throwing raw meat to their base. The charge of “anti-Semitism” is the new “McCarthyism”. If someone says anything critical of the Israeli government or AIPAC they’re labeled as “anti-Semitic”. Anyone who dares to support BDS is labeled as “anti-Semitic”. Obviously my comment was above your understanding? I understand full well your words. All you have done is to double down on making offensive comments. Shame on you! are you denying Muslim inbreeding – and seeing my describing its effects as offensive? Using deliberately inflammatory language turns a social problem into a weapon to attack Muslims. Yes, marrying cousins does risk a greater incidence of birth defects, but Muslims aren’t the only ones who marry their cousins. What we need is more public awareness about the risks of cousin marriage, not a display of anti-Muslim bigotry. you snowflakes just hate truth don’t you! I’m not anti-Muslim even if you snowflakes see any mention of truth as bigotry. We need more public awaareness of the rotten secrets of Islam. I reckon it’s pretty sick, Rose, that you resorted to abuse. The problem that you mention is cousin marriage, which increases the risk of genetic defects. Cousin marriage is a social issue, not just a Muslim issue. AIPAC only succeeds inasmuch as support for Israel remains popular and strategically advantageous. American Christians, especially those of the Evangelical persuasion, tend to regard Israel as an ideological ally and the Jewish people as crucial players in a cosmic drama yet to reach its climax. Simply put, politicians can afford to support pro-Israel policies because the voters do. Meanwhile, it serves American interests in the Middle East to support Israel. Being the only stable – and arguably militaristic – democracy in the region makes Israel a natural strategic ally. Until and unless voter support diminishes or our interests in the Middle East change significantly, no amount of tweeting by junior representatives is going to move the needle in terms of AIPAC’s degree of influence or generic American attitudes toward Israel. It does, however, get attention and provides fodder her opposition can use to galvanize their base. Pelosi & company understand all this, so a rebuke was to be expected. i think rep. Omar’s comments have been purposefully inflated in order to stem the influence of the new face of the US Congress. AIPAC has in fact cynically courted influential politicians who support Israel as a religious ideal associated with the Christian apocalyptic fantasy, one in which Judaism is destroyed, mind you, as a way to garner support for the national leadership of the NATION of Israel that deserves, like all nations, to be scrutinized for it’s behavior toward the people within its borders. To be brief she’s clueless. Israel is not arguably militaristic, it is militaristic. The charge of “anti-Semitism” is the new “McCarthyism” only if the allegations are false. BDS is probably prima facie anti-semitic given Israel’s existential circumstances. The American Israel Public Affairs Committee has not “cynically courted influential politicians”. It openly courts influential politicians because it is a lobbying group that advocates pro-Israel policies. That’s what lobbying groups do – lobby. Atheists. Each group has their own sphere of power. People have a right to name the immense power of lobby groups, whether big oil, NRA, or AIPAC. Omar was not criticizing Jews as a people; she was focusing on the Israel lobby, to which political parties are quite beholden, stifling any debate about Israeli policies, and falsely labeling any criticism of Israel as inherently anti-Semitic. Her choice of words may not have been wise, true. But I find your article, with all its bluster and maybe a hint of Islamophobia, sheds very little light on what was really going on–which was a minority voice (woman, non-white, Muslim) speaking truth to power. We dismiss such voices at our peril, and to silence them is to threaten democracy.